If you're interested in where you rank on Google, and where your competitors are ranking, then a natural thing to do is to enter your search terms into Google and have a look. Unfortunately this doesn't always give you the answer you need. This is because Google is often serving personalised search results. It will change the ranking of sites based on what it knows about who is doing the search. Any search on Google is tracked using a browser cookie record, the action of searching leaves a trace on your browser in a cookie. Future searches are then influenced not only by what you search for but by what you have previously searched for. A futher refinement to this algorithm is social search results which Google implemented in 2009. This feature modifies your search results based on people you know. Google uses information from social networks to associate each visitor with a social circle and then reasons that these people will share broadly similar interests to you. The final piece of the puzzle is location data. Google can use your IP address to work out roughly where you are searching from and then it uses this location information to furher refine your search results. Google applies this information to your search results because they claim it allows them to target the results more accurately to sites you are really interested in. However it also means that quite often your own site will appear higher than others would see it, because your own site is one you are likely to want to visit very often, and Google knows this. So how do you opt out of all this customisation so you can see your "real" Google ranking? You can opt out of the first 2 refinements simply by clearing your browsers cookie cache. How you do this depends on your browser, you can find instructions here. While this is a quick fix, it won't last because as soon as you start searching you will start accumulating a history again. 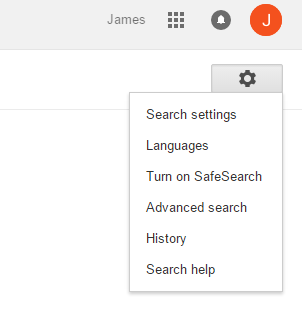 This is a bit of effort to do the first time, but from then on as long as you are logged into your Google account in your browser you will not be getting personalised search results based on your search history or your social circle. That leaves location data. Unfortunately that is not so easy to circumvent. Some searches simply won't operate without using location data. For example if you search for "plumber" you will always get back plumbers in your vicinity (in the organic listing at least). However if you're searching from a similar location to your customers that isn't a problem, you will be seeing what they would see in Google. But if you do want to see what a search would look like from a different location there is a solution that doesn't involve going there yourself. You can use a tool that is part of Google AdWords. You will need to signup for an AdWords account with Google (which is free). Then from the Tools menu select "Ad Preview and Diagnosis". This tool is mainly intended to let you see where your ads are without triggering a recorded impression, but it also lets you perform a search as if it was from any given location (and language, and device type). If you really want to get an accurate view of how others are seeing your results from any location this is the tool for the job.